Statue of J.E. Fitzgerald, taken 2011. James Fitzgerald was an important figure in the establishment of the Canterbury settlement. 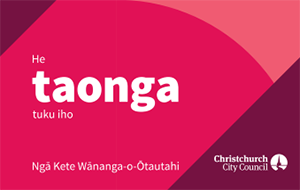 He was an energetic character who contributed widely to cultural and political life in Canterbury and on the wider New Zealand stage. He founded newspapers, was the first superintendent of Canterbury, became a Member of Parliament and Minister for Native Affairs. He played a significant role in the establishment of government as we know it today. Fitzgerald was renowned as an orator, a skilled watercolourist and writer and he played the guitar well. James Fitzgerald was born in Bath in 1818, the youngest son of an Irish landowner. He studied at Christ’s College, Cambridge. Following his graduation he spent two years travelling in Scotland and Ireland and became concerned with the poverty he witnessed. In 1844 he joined the British Museum as a junior assistant. By 1848 he was assistant secretary of the Museum. His awareness of the problems of poverty and the Irish Famine led him to think about colonisation as a possible solution. Following a meeting with Edward Gibbon Wakefield in 1849 he became secretary of the Canterbury Association. He helped to plan the new settlement and drafted the constitution of the Society of Canterbury Colonists. He was also appointed emigration agent of the association. He married Frances Erskine Draper on 22 August 1850, and shortly after left with his new wife on the Charlotte Jane for New Zealand. Arriving in Lyttelton on December 16, 1850 he was the first Canterbury pilgrim to leap ashore. James Fitzgerald was appointed sub-inspector of police and shortly after became the first editor of the Lyttelton Times newspaper. The Charlotte Jane carried the equipment needed to print a newspaper. Less than a month after the arrival of the first ships, the first issue of the Lyttelton Times was printed on Saturday, 11 January 1851, in a shed on Norwich Quay. A printer, Ingram Shrimpton, had been involved with the planning for the newspaper back in England, but had not emigrated to New Zealand immediately. James Edward Fitzgerald offered to edit the paper without pay until Shrimpton’s arrival. A year later Fitzgerald hoped to buy the Lyttelton Times and set up as a full-time publisher. The paper was published weekly, and it was thought that most of the work was done by Fitzgerald’s assistant, Francis Knowles. By 1853 Fitzgerald had abandoned the scheme of buying the paper, and taken up farming instead. He moved to a cattle and dairy farm west of Christchurch. This venture was not a success. James Fitzgerald was elected the first superintendent of the Canterbury province in 1852. His work with the provincial council was seen as developing the first responsible government in New Zealand with the executive being made responsible to the legislature. 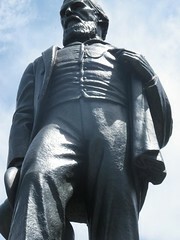 During his time as superintendent (1853-1857) the population of Canterbury doubled from 3,000 to 6,230; the new Canterbury province took over the debts of the Canterbury Association in return for the Hagley Park, Cathedral Square and Market Square in Christchurch and a road connecting Lyttelton and Sumner was completed. Typically Fitzgerald opened it by driving his dog-cart over the road. In 1854 James Fitzgerald became Member of the House of Representatives for Lyttelton in New Zealand’s Parliament. He played only a small part in politics after the first session because of ill health and resigned from Parliament in 1857 to return to England. Here he continued to work for Canterbury as an emigration agent, sending 4,000 new settlers out to New Zealand, and working on projects such as a provincial railway system, Christ’s College and the Christchurch Cathedral. Fitzgerald returned to New Zealand in 1860, and soon became involved in local politics again becoming Member of the House of Representatives for Ellesmere from 1862 to 1866. The 1860s were the time of the New Zealand Wars. James Fitzgerald supported Māori rights, and equal civil and political rights for all New Zealanders regardless of race. He wanted Māori to take part in government, and was opposed to the policy of land confiscation, and the use of British troops. In 1865 Fitzgerald became Minister for Native Affairs. The new policies he tried to introduce to improve relations between Māori and pakeha did not succeed and in 1867 he retired from politics. James Fitzgerald was strongly opposed to the proposal by William Moorhouse to build a rail tunnel through the Port Hills to link Lyttelton and Christchurch, because of the huge costs involved. One of the first attacks in print Fitzgerald made on Moorhouse was in a 5,400 word letter to the Lyttelton Times. This was met by angry criticism of Fitzgerald in the paper, which supported Moorhouse. A group of Fitzgerald’s supporters raised the money needed to establish another paper. The first issue of The Press was printed in a clergyman’s cottage in Montreal Street on 25 May 1861, and sold for sixpence. The Press became Canterbury’s first daily newspaper (and New Zealand’s second daily) with the issue published on 17 March 1863. Fitzgerald became the sole owner in 1862. He ran up large debts in developing the paper and in 1868 control of the paper was vested in a company. He also brought out an evening newspaper and the Weekly Press. In 1867 he retired from politics and moved to Wellington. He was appointed as comptroller of the public account a role that became the auditor general. He spent the last thirty years of his life in Wellington, where he was an important figure in the intellectual and cultural life of the city. Both he and his wife Frances were involved in the community as well as raising a family of 13 children. Following government cutbacks in the 1880s, Fitzgerald helped found the Public Service Association in July 1890, to act as a union for civil servants. He was the first president of the new association. Fitzgerald died on 2 August 1896 in Wellington, aged nearly 80. There is a statue of him in Rolleston Avenue. James Edward Fitzgerald - books and other resources about James Fitzgerald at Christchurch City Libraries.